Reading was my first love before writing, but since starting on this writing journey, my time to read is very limited. Because of that, I’m very selective with what I read, picking books carefully. If the books deliver entertainment and help me escape reality (which at the moment drives me crazy with all the political trash exchanged between the two candidates) that much better! “Till Life Do Us Apart” by Carmen Stefanescu is such a book. At first the cover attracted me with its eerie and mysterious flair. I picked it up and refused to put it down, intriguing me until the very end. Carmen Stefanescu put her heart into this book and it shows. It’s the second book of hers that I read, and I hope that she has more stories to tell. Becoming smitten with the handsome investigator, Detective Patrick Fischer, is a serious complication given his assignment to her brother’s case. Barbara senses there is something far deeper—and perhaps much older—than the surface attraction between them. Could that be why she’s visited by a mysterious woman named Emma in her dreams? Could past life regression tie all the seemingly unconnected events together? Barbara and Patrick must overcome heartache to find the truth to save Colin, and perhaps themselves. I always fear I give up too much in my reviews but, let me just say, “Till Life Do Us Apart” has an original twist on the controversial topic of reincarnation, past lives, rebirth. Aside from the main characters, I absolutely adored the dog–Jack who adds a special flavor to the story. I liked the combination of murder mystery with a bit of romance and supernatural elements. Overall this was an enjoyable read, just complicated enough, and fast moving. I wholeheartedly recommend it, you won’t be disappointed. I got my copy in electronic version but I believe the book is also offered in paperback, great for those of you who prefer it that way. When I found out that fellow author Carmen Stefanescu has a new novel coming out June 9th, I reached out and invited her to stop by to tell us a little about it. Who doesn’t want to hear about myths, ghosts and oh, reincarnation? Carmen, the floor is yours! Cami, thank you so much for having me as your guest today. You know my interest in anything odd – paranormal, myths, legends – all that is out of the normal boundaries. Reincarnation and chat with ghosts can be included, too. I’m thrilled to be here, and excited to share the cover for my upcoming release Till Life Do Us Part. Tags: Carmen Stefanescu, magic, mystery, novel, paranormal romance, Reincarnation, Solstice Publishing, suspense, Till Life Do Us Part. Ever been to Georgia? Go! I fell in love with the coast of Georgia when my husband, young daughter and I lived there for a short while. The idea for Rewind to You came to me while I was sitting on the beach with KC. 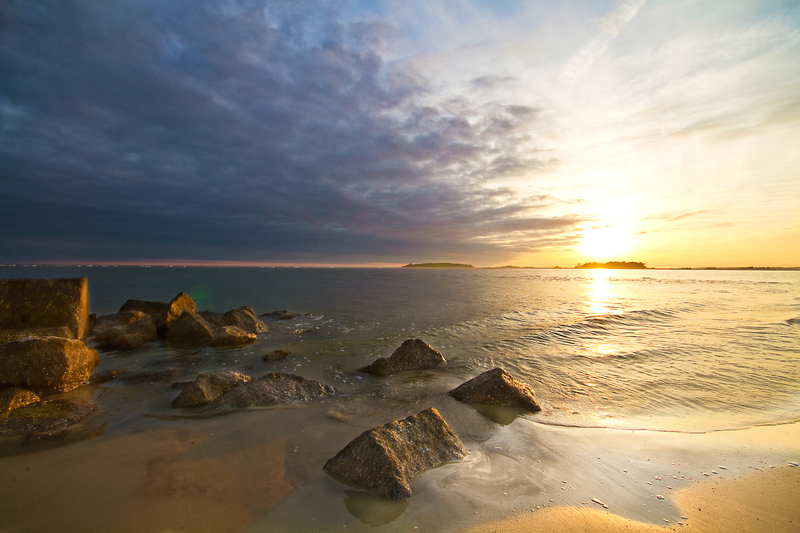 Picture a sunrise over the Atlantic Ocean. Gorgeous. I wished I could pause time. You know, save the moment so I could “rewind” to it someday and never forget it. That got me thinking. What if we could rewind to pivotal moments? At first it seemed like a great idea. The longer I thought about it, however, the more potential conflicts I saw arising from this scenario, especially if we were powerless to change certain things about those moments. If you could rewind to a point in your past, would you want to do something to change the future you’re living? Do you have regrets? REWIND TO YOU’s female protagonist, Sienna, sure does. And it’s going to take more than determination for her to move on. A trip to River Street in Savannah, GA sealed the deal for me. 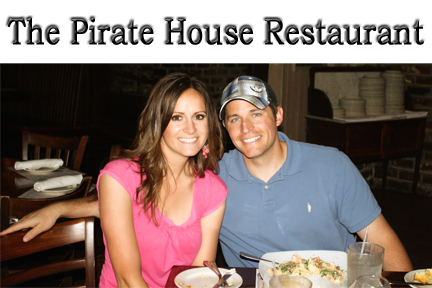 The premise in my head developed into something more as we ate at The Pirate House Restaurant (also featured in my novel) and walked down the quaint pathway along River Street. 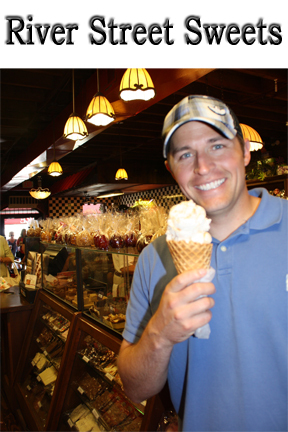 Just as Austin, the hero in Rewind to You, claims, the best pralines in the world are right on River Street! That street is lively, charming—magic, basically. Sienna’s walk down River Street marks the beginning of change. Austin saves the day—and her—in many ways. But Sienna isn’t the only one who harbors secrets. Without realizing it, Sienna and Austin begin an adventure that will help them both understand when it’s best to hold on and when it’s time to let go. It’s time again for yet another giveaway. 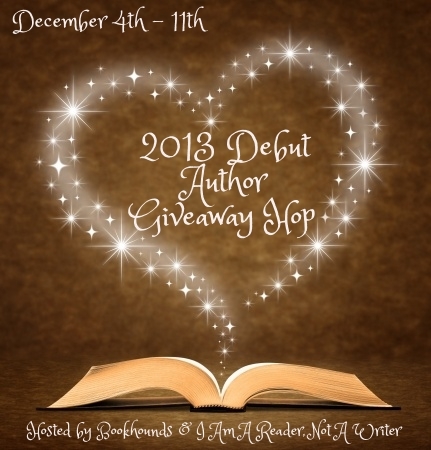 This time Kathy at I’m A Reader Not A Writer teamed up with Mary at BookHounds and organized the 2013 Debut Author Giveaway Hop. Thank you, ladies! The giveaway runs from 12/04-12/11 with the winner announcement on my site on 12/12. Its title is pretty much explanatory: the participants must give away books of authors who published their first novel during 2013. 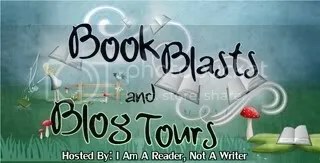 I have quite a few favorite authors I discovered this year, but for this blog hop I decided on Ana Calin and her debut novel The Blacksmith. What drew me to Ana’s is her writing voice. I remember first reading a blog of hers and getting sucked in. Her voice is catchy, with a richness that reminds me of dark chocolate, black cats and quicksand. Intriguing combination you might say but that’s the best way I can describe her style. For lovers of demons and angels, suspense and mystery mixed with romance, The Blacksmith is for you. I’m giving away one e-copy to one lucky winner. For your chance to win it you must become a follower of this blog (thank you very much!). If you are already then befriend me on Goodreads. If you do not have an account on GoodReads then you can either like me on Facebook or follow me on Twitter. Leave in the comment section the venue you’re following me and under what name. Forcing myself to blink, I turned my head away. The visions had grown worse as I’d become older. I’d tried to convince myself they were nightmares—or weird dreams. Hoped for years they were, but only people who sleep dream. Unable, or unwilling to stop myself, I glanced back over my shoulder, thoughts flooding my brain. Memories I knew couldn’t be memories but I cherished all the same. For years I’d tried to shake them away. To make myself forget. A stone raps against my bedroom window. I creep over and peer through the blinds. “You’re late.” I lean out over the sill, grinning at the boy staring up at me. He takes one casual step to the side.The jump isn’t too high; I make it all the time. Max tightens his grip on my hand.